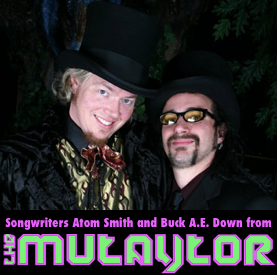 Following the scandal on the national television show NBC Dateline's To Catch A Predator and the subsequent unexpected resignation of the Mutaytor's leader and founder Matty Nash, BURNcast speaks in depth to the band's songwriting duo Atom and Buck. Here the two discuss music, family, and the group’s efforts to the move forward. New music from the band’s forthcoming album is also featured in this episode. In today’s episode we speak to Poncho Andy, BURNcast’s new contributing Music Editor with a review of music by the Department of Mental Technology Labs also known simply as DMT. ￼In today’s episode we speak to Jolly Roger, the Mayor of the Alternative Energy Zone, a Burning Man community free of stinking, noisy, polluting generators. Here we talk about alternative energy use on the playa. We also talk about the Green Man theme for 2007 and the movement to “green” the event. 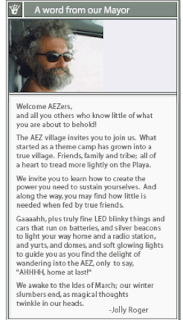 In today’s episode we visit Center Camp at Burning Man 2006 and have a conversation with Astarius Reiki-Om. 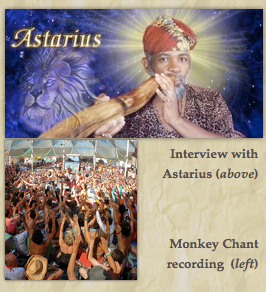 We’ll also listen to him performing a healing sessions incorporating the didgeridoo and vocal harmonics. Then later, we’ll hear a recording of the Ramayana Monkey Chant performance by Gamelan X.